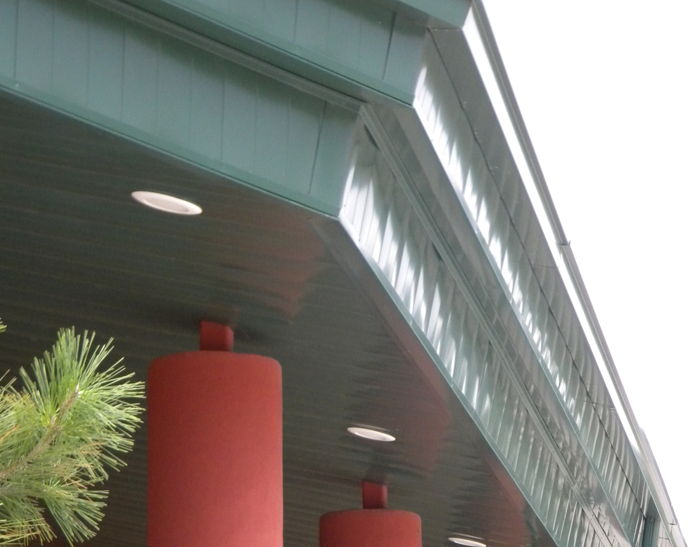 The Marquee Family of products are designed to complement McElroy roof and wall panels. 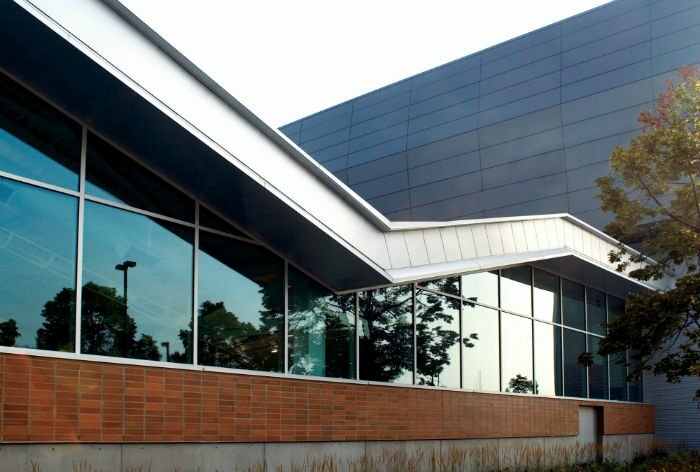 Taking a single vendor approach to walls, roofing and accessories, Marquee panels simplify every step of the building process. You achieve exactcolor match, coordinated material delivery, and the assurance of McElroy quality across all components of the project. The Marquee family consists of two panels, Marquee-Lok and Marquee II. 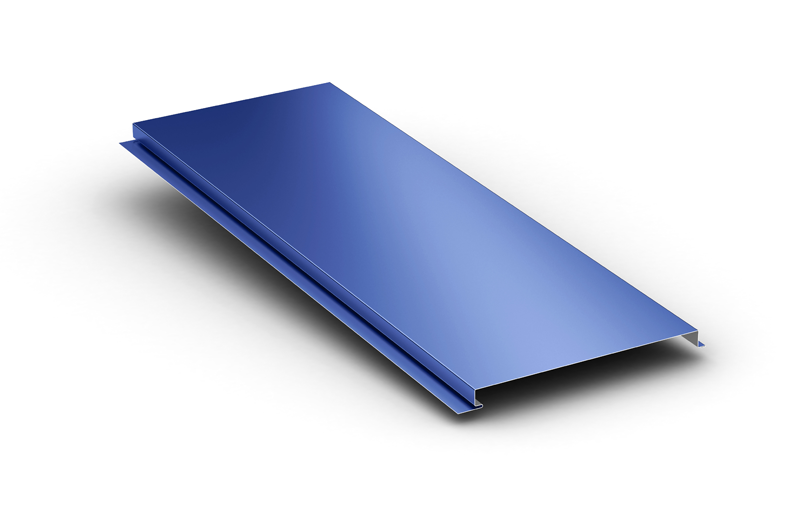 Both can be used as a soffitt and fascia panel, while Marquee-Lok has the added capability to be used as a wall panel. Both Marquee panels are 12" wide and 1" high. The end effects are a smooth, unbroken plane or a subtle ribbed appearance. 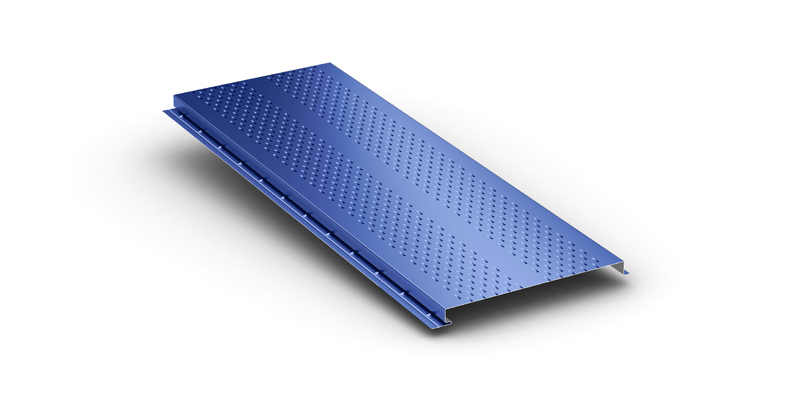 Panels are manufactured "cut to length," eliminating the need for field cutting. 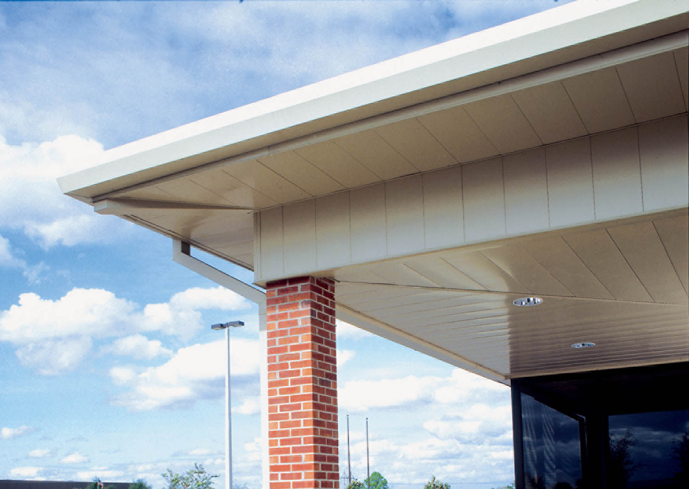 McElroy Metal's Marquee-Lok panels feature a unique locking design that adds strength and helps to prevent the panels from unlatching due to high suction force during a wind incident. No other panel in the industry features this type of locking mechanism. 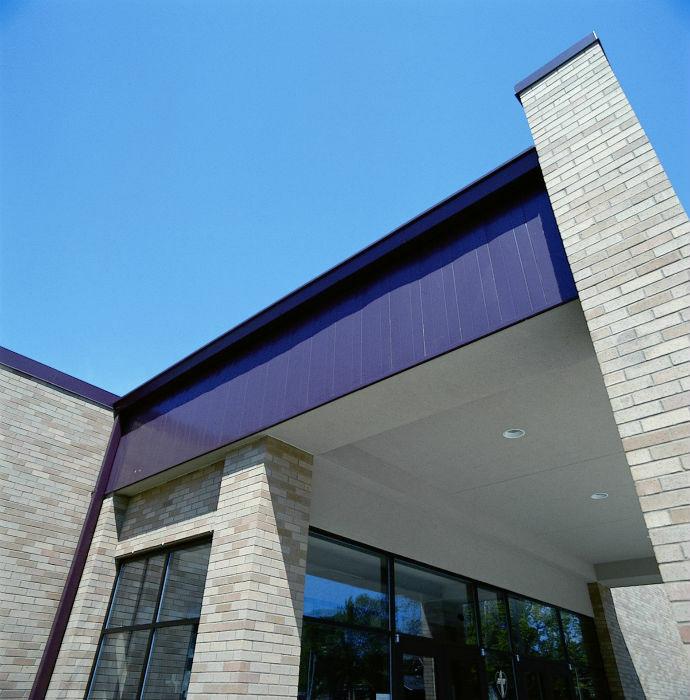 To meet ventilation requirements, Marquee panels are available vented. 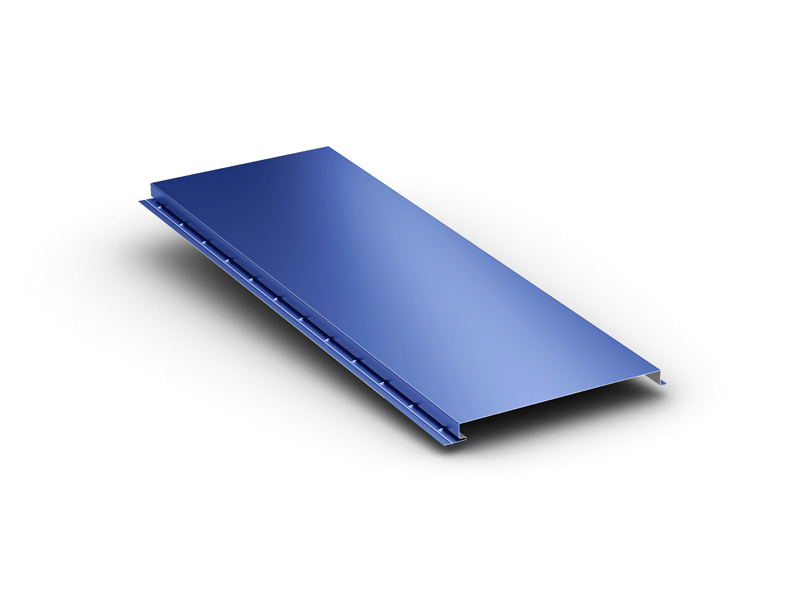 Control the degree of airflow by utilizing all vented panels or a mix with non-vented panels. 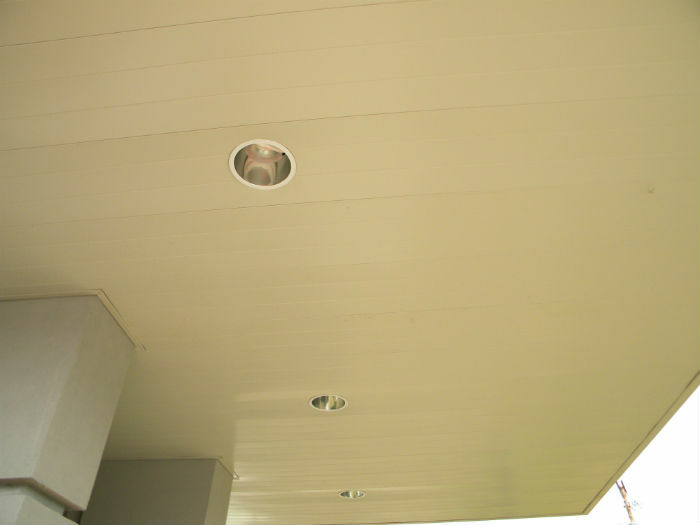 Panels are held in place by concealed fasteners, allowing installation without the need for special clips or seaming tools.